From the author of The Land Uncharted comes the second book in the Uncharted series, Uncharted Redemption. Written like a historical, set like a scifi, and filled with romance, Uncharted Redemption continues this suspenseful story of life in a hidden land. Levi Colburn, resentful of his father, haunted by his mother’s tragic death, and pained by his love for the unattainable Mandy Foster, breaks from the Land’s tradition and begins to build a life of his own. When rebels tear through the village of Good Springs, Levi vows to deliver justice and restore the woman he loves. As tradition stands in the way of redemption and threats from the outside world begin to appear, Levi must learn his greatest battles cannot be fought with his fists. 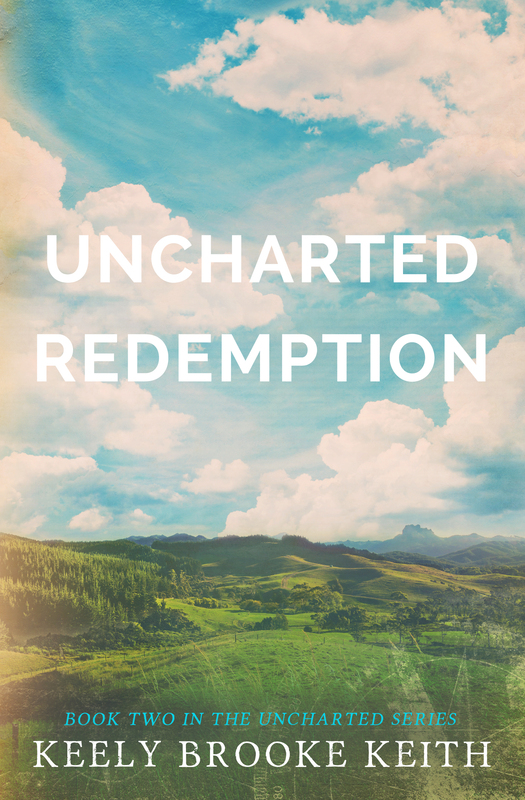 Romantic, suspenseful, and filled with adventure, Uncharted Redemption weaves dramatic new layers into life in the Land. Levi Colburn is a bitter young man- he’s angry at his father for failing to protect his mother when she was murdered and angry at himself for being in love with Mandy Foster, a woman who rejected him years prior. With a heavy yet determined heart, he decides to break away from Land tradition and build his own house separate from his family. His entire world is shaken once again when the same men who murdered his mother ride into town and kidnap Mandy. Levi, along with his brother-in-law Connor, race after them and vow to deliver justice no matter what the cost. But will his desire for vengeance cloud his judgment? And will the Land be protected from outside forces trying to find their way in? The Land Uncharted’s ending had me curiously anticipating this second novel in the Uncharted series. Though it started off a little slow (probably because I had forgotten a lot from the first book and it’s probably better to read these one after the other), don’t give up on it because Uncharted Redemption has a meaningful message, adventure and action, romance and imagination. I really enjoyed it! Something that has always intrigued me about these books is the setting. The Land is a curious place, and it’s one of those things that pulls you in with the mystery of it all. Parts of the story focused on Mercer, Connor’s old friend, and his mission to find the Land. Though some information is uncovered here, I suspect there will be even more revealed in the next book. The romance was another highlight- Levi and Mandy’s interactions made me smile. I was really happy the conclusion wasn’t too drawn out, everything happened in perfect sequence. The third person point of view isn’t my favorite, but in this case it didn’t bother me much. Perhaps the best part of this book (for me) was the adventure! Things got really interesting with kidnapping, murder, and fistfights. I was also really happy to “touch base” with Connor and Lydia from book one- they were still as cute as ever. Uncharted Redemption was an intriguing, mysterious sequel filled with romance, adventure, and suspense. If you enjoy stories that are a break from the norm, then you should check out the Uncharted series! **I received this book from the author in exchange for my honest review. My sincerest apologies for the delay in reviewing.